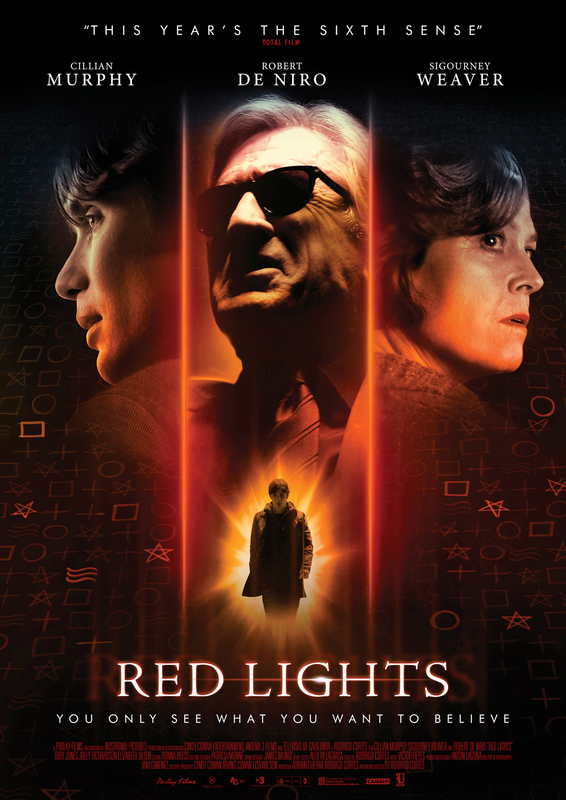 Chrichton's World: Review Red Lights (2012): Absolutely worth your time! The least you know the better the experience will be. I know I say that often but in this case it certainly is. I went in this film expecting a supernatural thriller about ghosts and what not and got something different and much better. Basically it comes down to the question are you a believer or non believer or hanging in between? Do you believe in telepathy, telekinesis, people who can talk to the death and all that jazz or do you know for certain it's not real and they are all con artists. Red Lights brings all these questions to your attention in a way that it holds your interest. The viewer follows professional skeptics Sigourney Weaver and Cillian Murphy who investigate paranormal phenomena who cross paths with psychic Simon Silver (Robert de Niro) who might or not might be the real deal. Robert de Niro was very creepy and clearly enjoying his villainous role. And it makes you root for Cillian Murphy to find out the truth about him. Now there will be some events that are of the "how is it possible, did that just happen" variation?" Quite a lot actually which raises the tension considerably. As a matter of fact Red Lights doesn't waste any time in bringing the suspense. From the start it comes in early and for the most part never lets up. However nearing the end it does become a bit uneven where things seem to be rushed and skipping some essential details that make it unnecessarily confusing. But is compensated by giving the viewer an ending that will be much discussed. It's one where you will have to decide whether it not you like to be fooled like this. I personally am leaning towards to liking to be fooled. However a little part of me can't escape the feeling that it is a very convenient ending. Overall I had really a fun time watching this since it is thrilling throughout and has some excellent performances. Absolutely worth your time. The Autopsy of Jane Doe (2016).